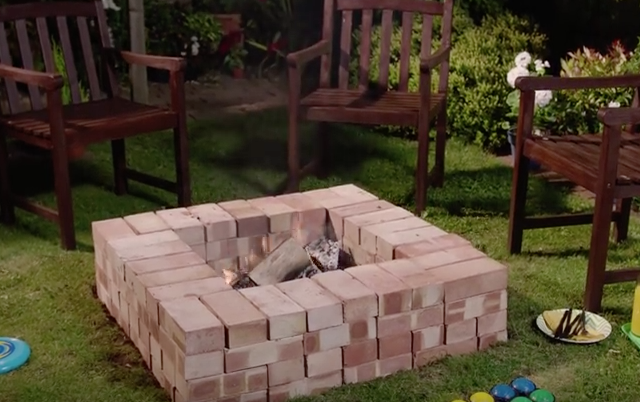 I have a hankering for a fire pit and a reluctance to spend a fortune on a kit or getting someone to build it for me. I did a bit of a search and came across a video from Wickes (a UK firm) which shows you how to build it from easily sourced materials and gives great advice on siting. No need to spend loads of money, it can double up as a barbecue as well as being a heat source. No need for mortar or fixings, just dig, measure and place carefully, making sure the bricks are level. Above is a photo of the finished product - scroll down for the video and further down for a really fabulous looking square fire pit - it is most definitely NOT boring! It is stunning!! Now, I'm sure the more talented amongst you could make a fancy shape - circular or something - but this is perfect for everybody else. You need no special skills or materials and I reckon you could easily build this in a few hours. If you've made a mistake in siting, you can re-site easily, you'd just need to replace the turf and make good. 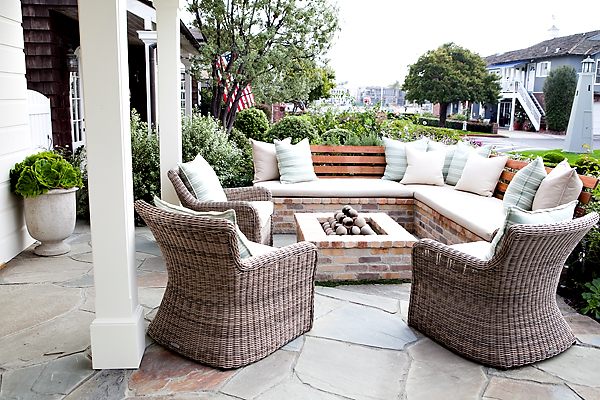 Photo of a square fire pit project by Cynthia Childs Architect.